When the time comes, as it does in all our lives, it is difficult to make the right decisions regarding the many choices facing us in our time of bereavement. 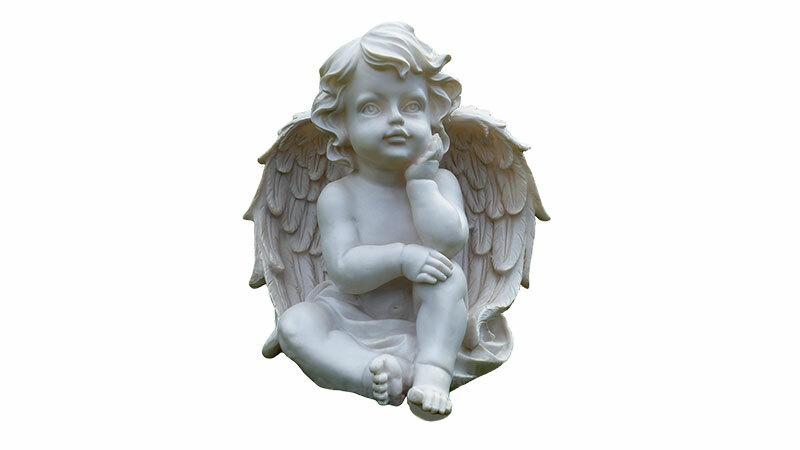 At Eagle Memorials we provide the best quality, U.S.A. made memorials and memorial products directly to you, at a considerable savings over other methods. We know the importance of your memorial purchase and stand ready to make it as easy and affordable as possible, while never sacrificing quality. When someone dear to you has passed, their memory should never fade. A memorial headstone, grave marker, or cremation urn will keep their spirit alive for generations to come. These markers have the lowest profile of all memorials and are usually installed directly on a poured concrete foundation. Because they all have a low profile, they are less likely to be vandalized. They can either be cut from a single piece of granite and carved or etched or a bronze plaque can be affixed to the face. Bronze memorials and benches are the perfect way to offer a unique tribute to your loved one. 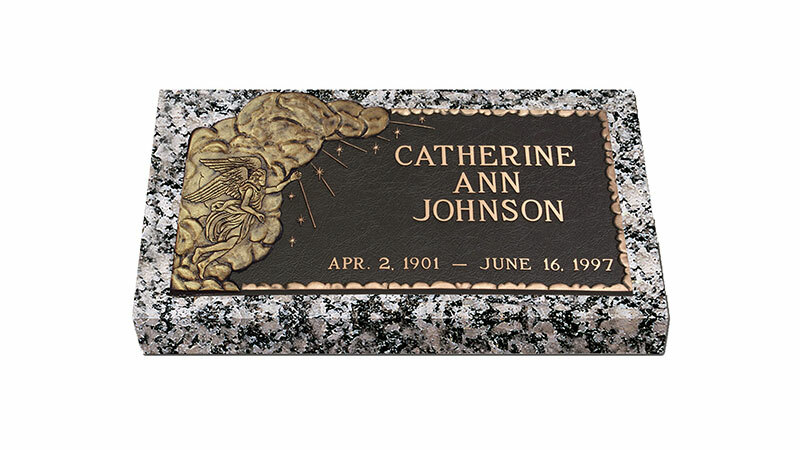 A bronze plaque can be used as a memorial by itself or it can be placed on any type of granite headstone or cemetery monument. Benches are available as memorial park benches, or can include repositories for cremated remains. Upright and traditional monuments are larger and taller than flat grave markers and are an impressive sight in any cemetery. These are commonly referred to as headstones. These stones, placed at the head of the grave, are what most people think of when they think of headstones. Specialty items like statuary accents, cremation urns, flower vases, and pet memorials create an artistic, elegant, final remembrance and celebrate a lifetime of love, laughter and memories. Eagle Memorials stocks a large variety of these items or can easily custom order something for your memorial. From time to time, we get special buys on certain stone products, or offer discount prices on discontinued items and feature them here. Usually, these products are only available for a limited time or are in limited quantities, so when they’re gone, they’re gone. Our mission at Eagle Memorials is to provide our customers with personalized service by providing information necessary to make an informed purchase at the best possible value. 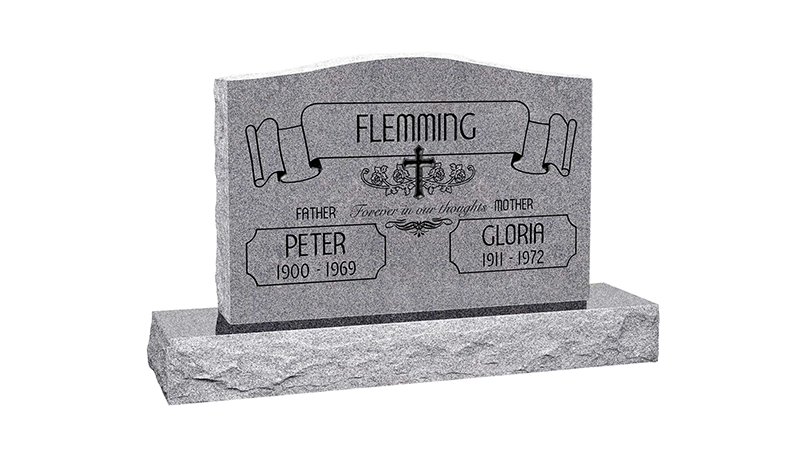 Select from our high quality memorial products and stone signs with no sales pressure. We specialize in custom, personalized items. Anything you can imagine can be tooled to fit your needs. Depending on your specifications, it usually only takes 30 to 120 days to produce your unique item. 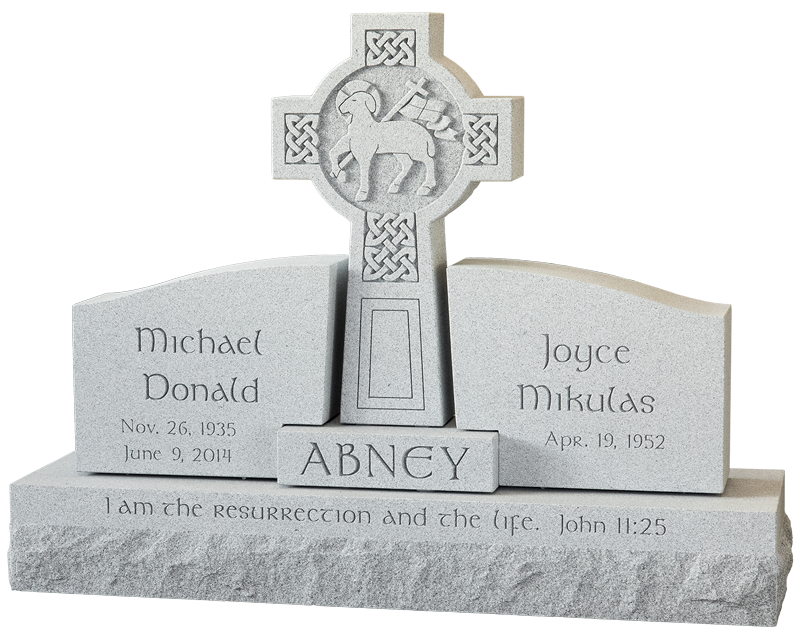 Because of the vast quantity of personal and custom options available, our website has only a small sample of the memorials and memorial products that are available. 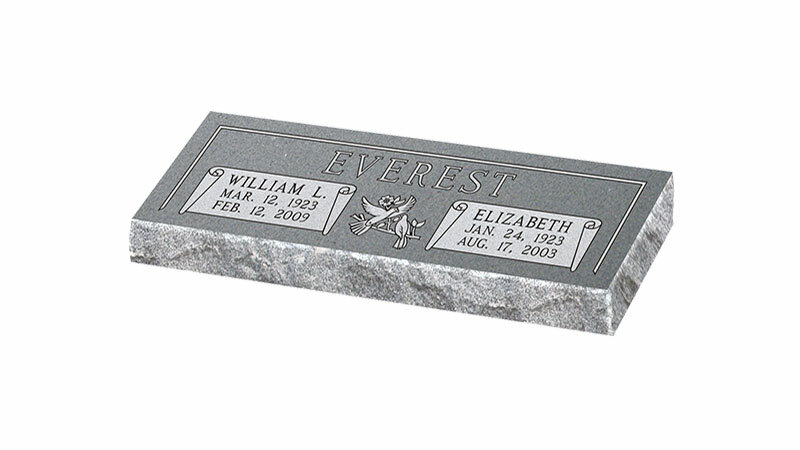 If time is more critical, Eagle Memorials stocks a large variety of beautiful, specialty memorials, ready for delivery. For many, the first time purchasing a memorial product can be overwhelming. Please don’t hesitate to call us. We will personally educate you with basic information about our industry, including terminology, cemetery rules and restrictions, and will answer any questions. 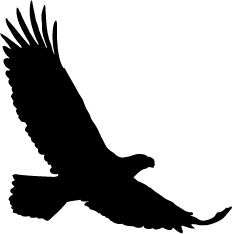 At Eagle Memorials, we guarantee satisfaction with your memorial purchase, by providing superior quality, unmatched pricing, and personal service every step of the way.